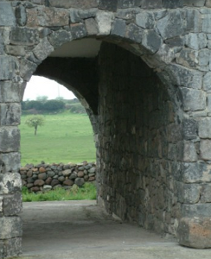 An arch converts tensile stress into compressive stress (see Tension and Compression). 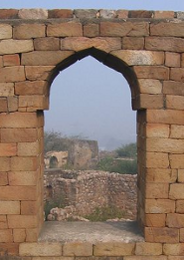 In masonry construction, a true arch is formed with a continuous line of wedge-shaped stones, while a corbel arch is formed by a series of overlapping stones (in which each stone juts out farther than the one below). 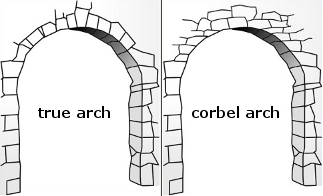 Compared with a true arch, a corbel arch is less stable, and less efficient at converting tensile force into compressive force.